Hi everyone! Although Fall has officially started, it's still been very hot in the Los Angeles county area. I'm talking high 80's to low 90 degrees weather. With that being said, I place high priority to finding a high performing, all-natural deodorant that's made without baking soda (since baking soda causes super itchy rashes under my arms). Bare Bones Body offers one deodorant made without baking soda, labeled as "unscented for sensitive skin" and retails for $8.99. This is my first time trying out a Bare Bones Body product and I like how they offer minimal amount of products and use simple ingredients. 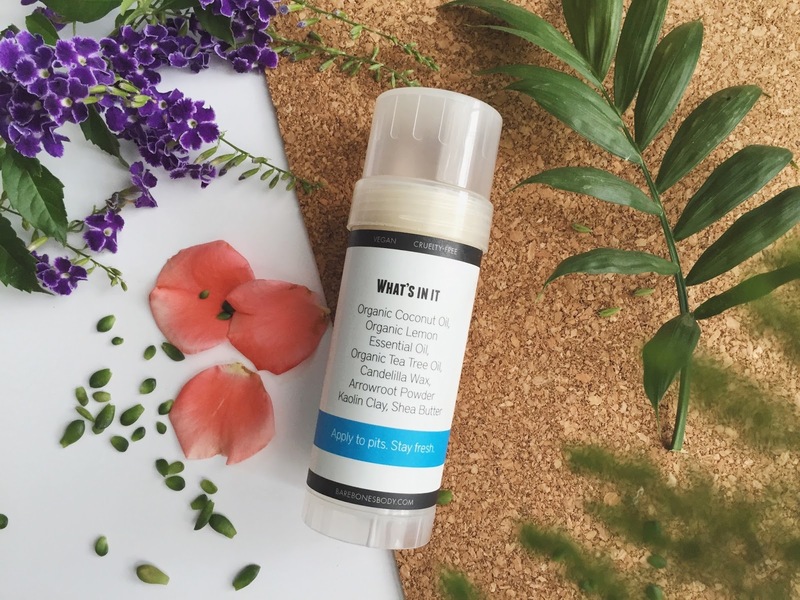 This vegan deodorant has a lot of nourishing ingredients like coconut oil and shea butter and has a natural, non-offensive scent (still considered unscented). 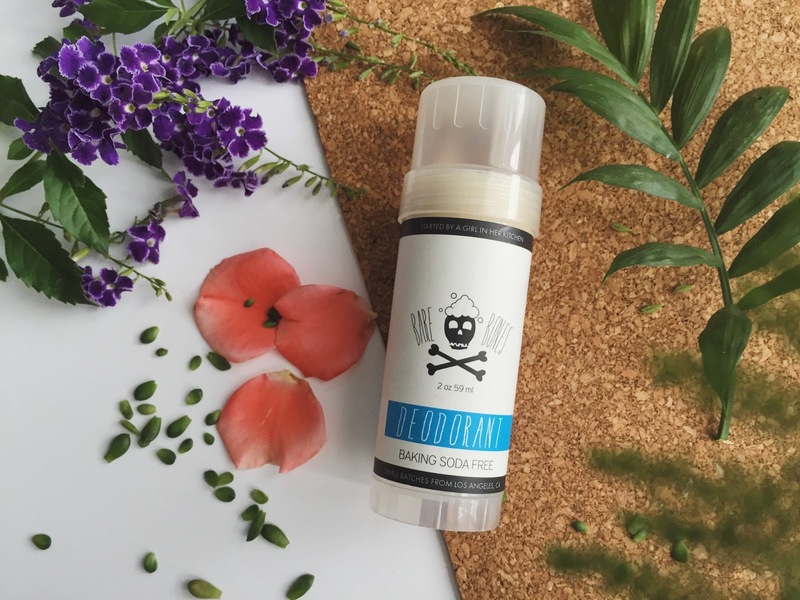 Since it contains a lot of moisturizing ingredients, the deodorant applies smoothly and melts into the skin without dragging. Plus, the product itself doesn't melt in the heat! Also, the packaging is sturdy, easy to twist, and great for traveling. It's also reasonably priced. Since this deodorant is so creamy, it leaves an oil stain on my clothes. I never had this problem with any of my natural deodorants. I'm guessing it's because there's a lot of coconut oil in this deodorant. Also, this doesn't control odor and perspiration as well as the Zabana Essentials deodorant. Overall, this didn't work out for me and I prefer my Zabana Essentials or Kaia Naturals deodorant over this. I do want to try out other products from Bare Bones Body because of their minimal ingredients. Do you have any deodorant recommendations? Let me know about your natural deodorant experiences!